Special offer – Free Books! Get any one of our Ebooks listed here for free. 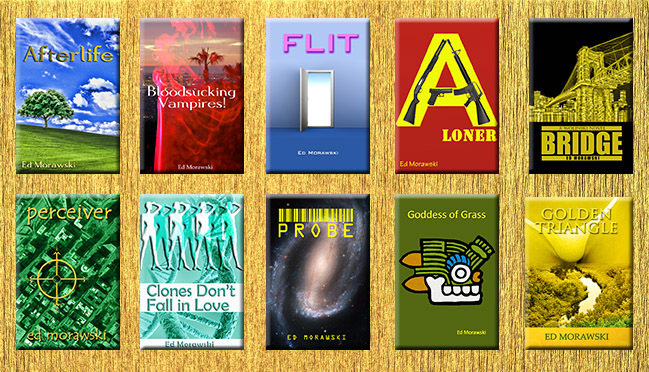 Here’s how it works: Purchase any of the Ebooks listed here on Amazon and write a review and post it on Amazon. When the review is up, send us an email at the address on the CONTACT page and let us know which other Ebook you would like for FREE. We’ll gift it to you within one business day. Enjoy. Click on BOOKS under LINKS to go directly to Amazon. We are thrilled to announce our latest has just been released by Double Dragon Publishing. FLIT is the Unbelievable True Story of Teleportation – the technology that changed the world as we know it forever. Meet the people, learn the secrets, relive the events that shaped human society forever! Posted in: Books. Tagged: school. Businesses have secured their buildings and campuses for more than 30 years yet education refuses. If a shooter or violent person can’t gain physical access to the school campus or building they can’t commit violent acts, it’s as simple as that. Lock all the perimeter doors and issue the students photo ID badges with access control. Each authorized student uses their ID badge to gain entry. Expensive? Not really. The badges can actually be reused year after year. Once the electric door locks are installed, the systems have low maintenance costs. Gun control will not solve this problem, PEOPLE CONTROL will.